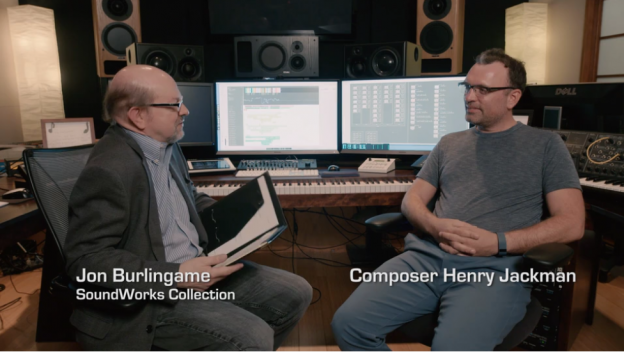 The first of my online video interviews for SoundWorks Collection this year is with composer Henry Jackman, whose massive, muscular score is helping to drive Captain America: Civil War to the top of the summer box office. Jackman is a smart, funny, classically educated Englishman whose additional experience in pop music has helped to make him a bankable composer for such A-list movies as Wreck-It-Ralph and Big Hero 6. His earlier Marvel movies included X-Men: First Class and Captain America: The Winter Soldier. Our lengthy conversation took place in his Santa Monica studio and is punctuated with the composer playing his themes at the piano as well as plenty of behind-the-scenes footage.